How can we help you be a time ninja? Please share your feedback to help us improve. This US map time zones with states is interactive and provides an at a glace view of all time across the US. 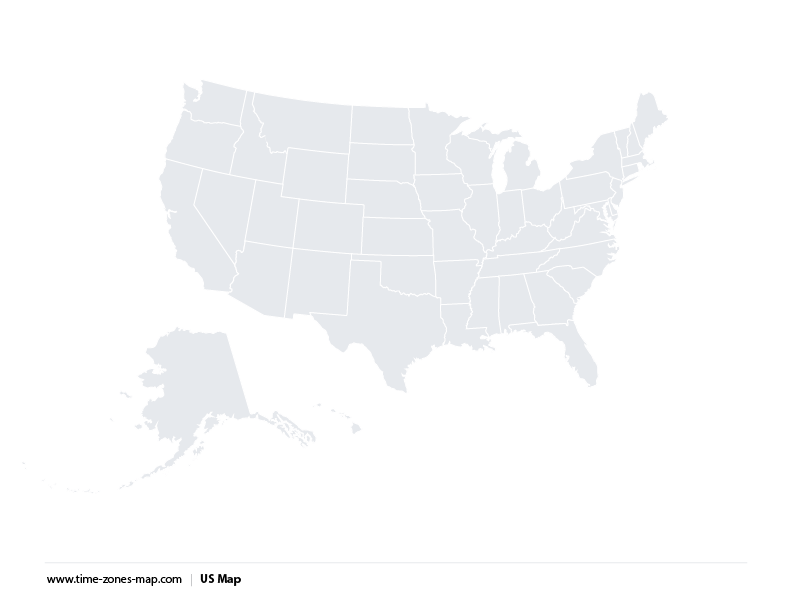 Just click on any state above and see the current time and date. Change settings to see full state names, state initials or choose Blank to see just the map. Looking for a printable time zone map? Click print above or scroll below for PDFs. Check out the new World Clock. With World Clock you can keep track of time anywhere around the world. Rename the clock and see your most used time zones at a glance. There are 9 time zones in the USA: Hawaii (UTC -10:00), Alaska (UTC-09:00), Pacific (UTC-08:00), Mountain (UTC-07:00), Central (UTC-06:00), Eastern (UTC-05:00). US also has the Samoa (UTC-11:00) and Chamorro (UTC+10:00) timezones (not included in the map above. Free printable time zone map for North America. Click on the map you want below, download the PDF and print. Printable US timezone map with state names. Great for a quick reference. 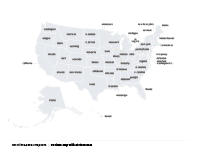 US timezone map that's printable. 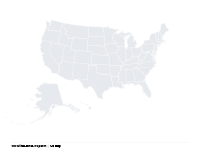 Outline map of North America. Great for coloring, and adding your own information. 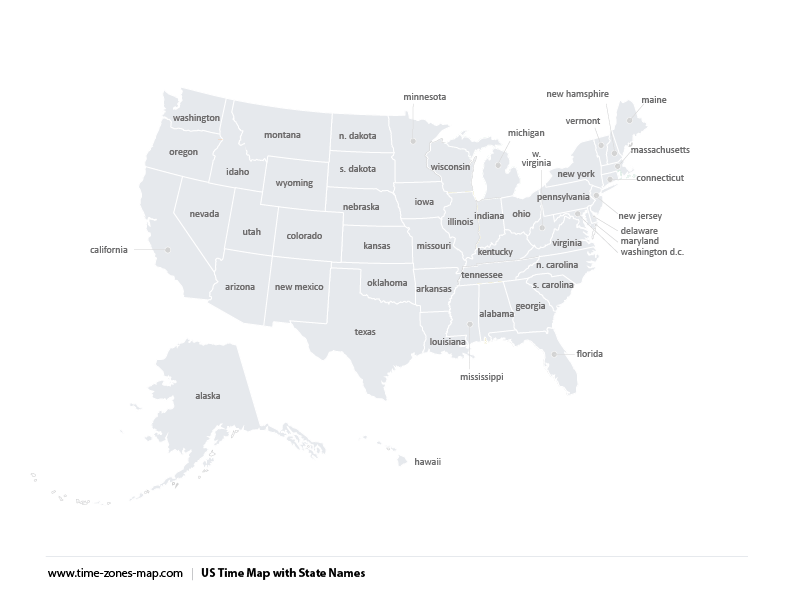 Printable maps of US with state names. No color but includes state names. US Timezone map that's printable. 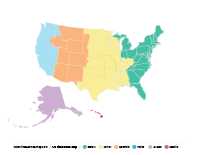 Has colors indicating timezones for each state. Where does the time zone begin? In the US the time zone begins in Michigan and continues south through parts of Illinois, Indiana, Kentucky, Tenessee, Alabama and Florida. When does standard time begin? In the US standard time begins again on March 10, 2019 and ends Sunday, November 03,2019. Want to see the old site? No problem just click on this link to see the original homepage.